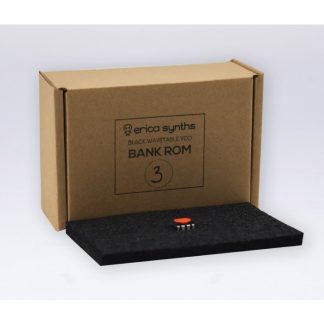 The Erica Synths Black Wavetable VCO is compact, fat sounding wavetable VCO that features 16+ banks of selected waves: classical synths, FM synths, Erica modular, vowels and a wide range of other interesting timbres. 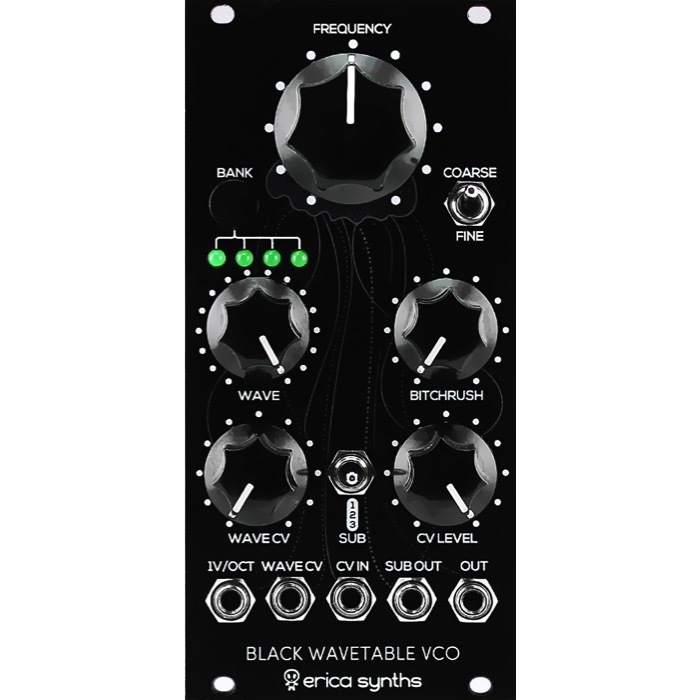 The VCO has separate -1 and -2 octaves suboscillator output, built in VCA and smooth wavetable morphing. 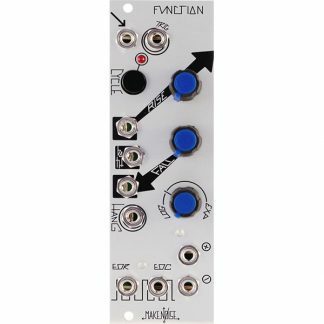 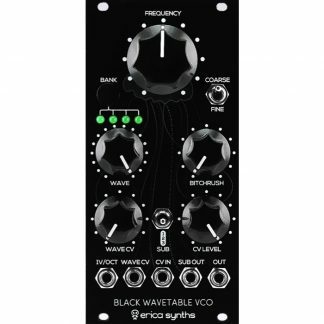 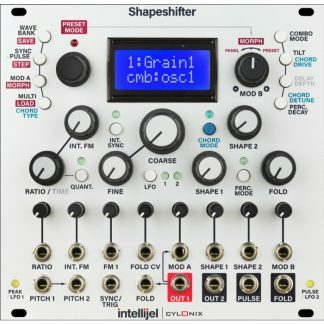 A switchable CV input allows for control over Bitcrush, FM, Wavetable Bank or the internal VCA. 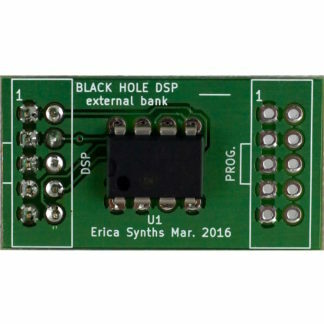 Additional ROM chips (sold separately) with extra wavetables are planned, in order to further expand the module’s sonic palette.